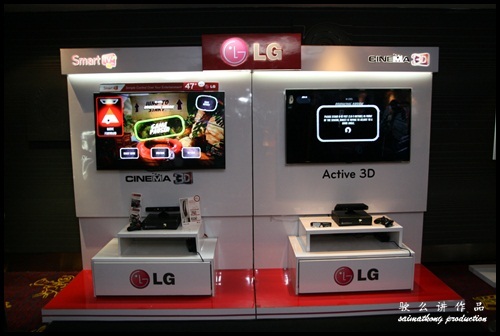 The new LG CINEMA 3D Smart TV upgraded with new 3D technologies that enable a smoother and more immersive 3D viewing, along with the most extensive, yet easy to use, Smart TV eco-system composed of wider 3D content selections, 20 premium content services and about 450 Smart TV apps! 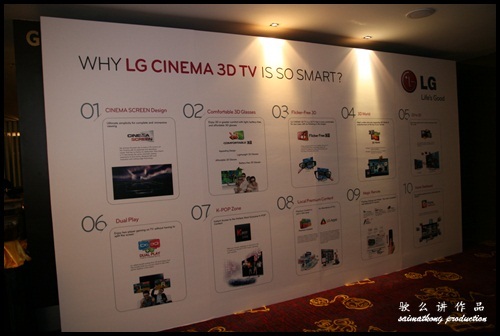 Why LG Cinema 3D TV Is So Smart? 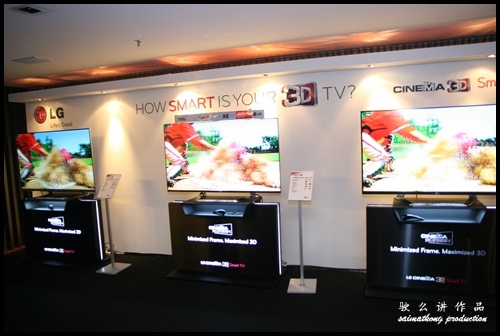 How Smart is your 3D TV? LG Smart TV is the best of 3D TV and Smart TV on screen. LG Smart is battery-free glasses, 2D to 3D conversion and a magic motion remote that gives yo more control, more content and more 3D. 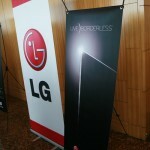 LG has reduced the width of the border to negligible levels or to almost zero bezel. 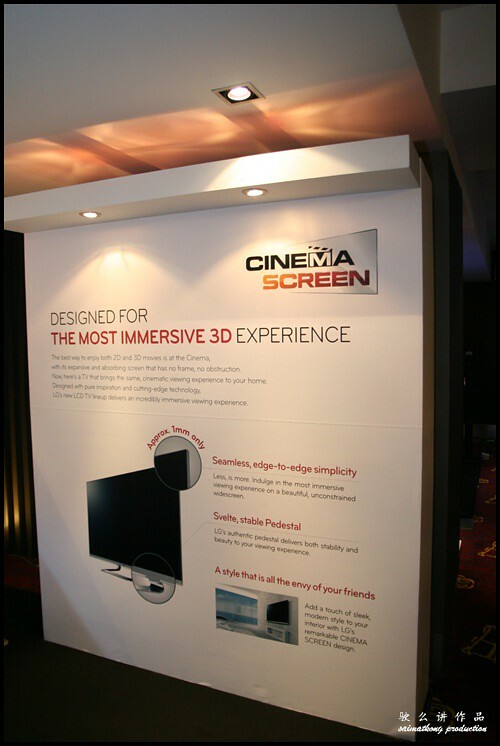 You will have truly no physical obstruction and most a like CINEMA 3D viewing experiencee! 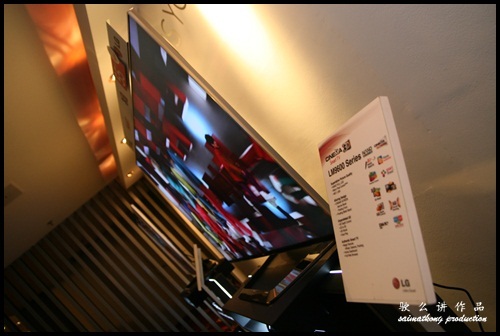 It’s as if you are watching movie in the Cinema with this LG CINEMA 3D Smart TV! Cinema Screen Design : 1mm or Almost No Border! The best way to enjoy both 2D and 3D movies is at the Cinema, with its expansive and absorbing screen that has no fram3, no obstruction. Now, here’s a TV that brings the same, cinematic viewing experience to your home! Designed with pure inspiration and cutting-edge technology, LG’s new LCD TV lineup delivers an incredibly immersive viewing experience. Less, is more. Indulge in the most immersive viewing experience on a beautiful, unconstrained widescreen. LG’s authentic pedestal delivers both stability and beauty to your viewing experience. Battery-Free and Light Weight 3D glasses! 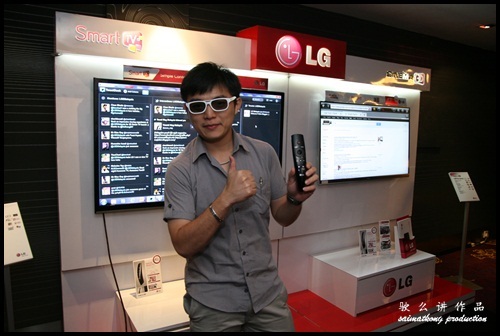 LG use of Film Pattern Retarder (FPR) technology allows for battery-free, light weight glasses. This will definitely a plus point as you don’t need to worry out of battery for watching countless 3D content and will not feel any discomfort. 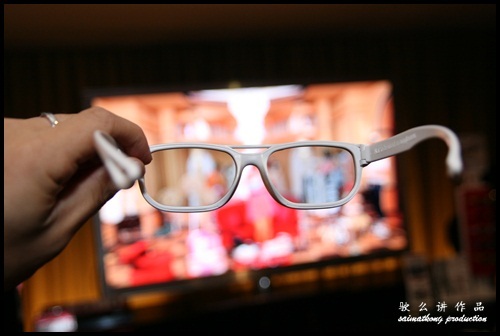 LG offered premium 3D content service called 3D World. 3D World offers high quality 3D content across numerous content categories such as entertainment, sports, documentary, kids, lifestyle, travel, fashion or any other interest. 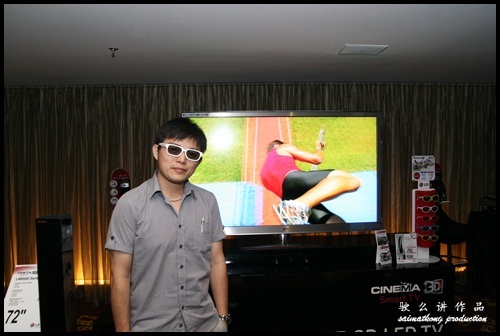 LG’s CINEMA 3D Smart TV brings it to life in beautifully rendered 3D images. The action scenes in sports become more dynamic and exciting, documentaries more realistic. 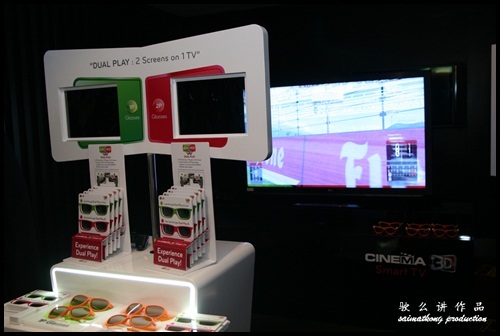 Dual Play Technology : 2 Screens on 1 TV! Using the theory of 3D technology, Dual Play is the solution of an ultimate experience in war games. 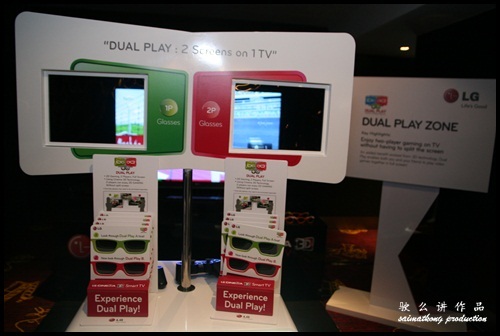 With LG’s Dual Play function and the special Dual Play glasses, gamers can now enjoy dual-play games on a CINEMA 3D Smart TV without having to split the screen. It’s really amazing! 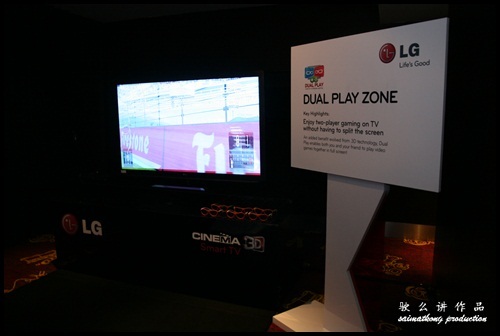 Check out the on how Dual Play work on LG CINEMA 3D Smart TV video below. One Smart TV able to split it to two different images and view by two different groups of people by using different glasses. That’s amazing isn’t it? You don’t have to compromise by playing games in a smaller split screen! 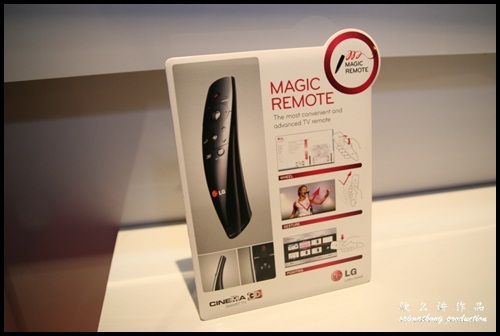 With LG Smart TV Home Dashboard, you are able to customized to enhance your experience with the advance Magic Remote! 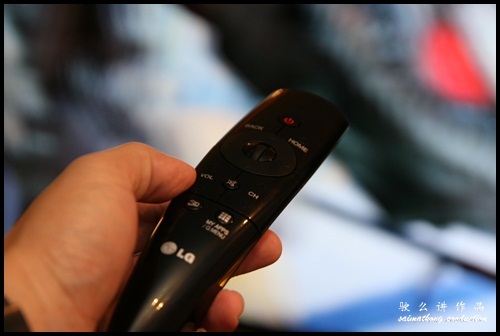 The Magic Remote features voice control, allowing you to voice command instead of having to push countless buttons to navigate through LG’s Smart TV eco-system! If you ask me I will tell you I really love this Magic Remote as it could do wonder! It’s not those conventional remote that you will find in other TV but this with this Magic Remote in your hand you could do browsing and controlling and it’s like air mouse! 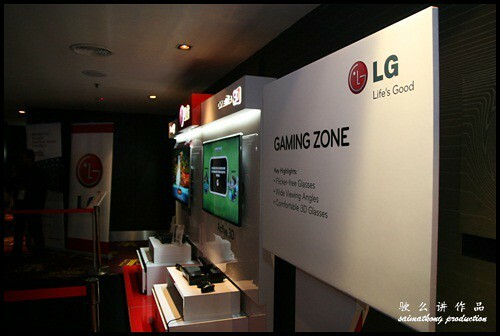 – Just point, click, drag and drop anywhere you want on your LG TV screen. 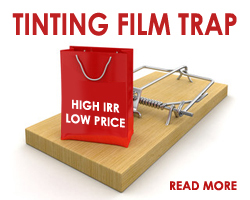 – Stop clicking multiple buttons with our easy mouse like pointer. – Wheel allows you to switch between different TV channels easier than ever. – Scroll up and down the web browser just like a mouse for easy use. * Subject to vary by contents. – Now, save time with simple gesture which enables to activate for frequent use and complex command. – Move the remote sideways to the right while holding down the OK button, It will then take you to the previous channel. -Just make a V shape, a recent list of programs and contents you watched will show up on the screen. 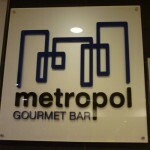 – Simple and easy pairing is for the convenience of the users and the owners. Just point your remote toward the TV and press down the OK button (Wheel). You can access content stored in external devices such as desktop and notebook PC, tablet and smartphones on you TV screen wirelessly. Smart Share Plus also offers the screen share function which streams TV connect to external viewing devices such as smartphone or table PC, via Wi-Fi connection. That’s the benefits of a true Smart TV that connects to other devices more easily than ever. With 3D Dept Control let you adjust the dept or the distance between the on screen objects of a 3D movie or TV show you are watching! 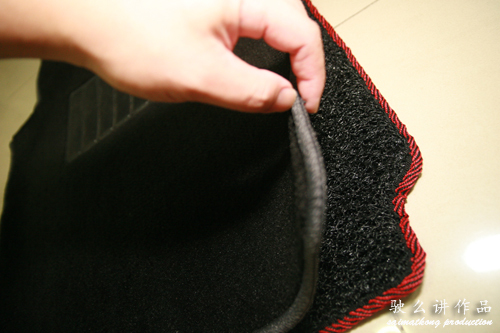 This really helps as you able to customized it to your own level of comfort! 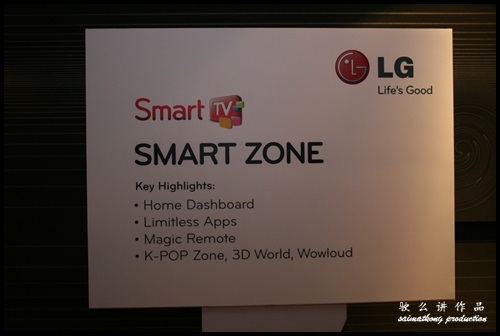 That’s the features I saw during the LG CINEMA 3D Smart TV Party @ GSC Signature, Gardens. 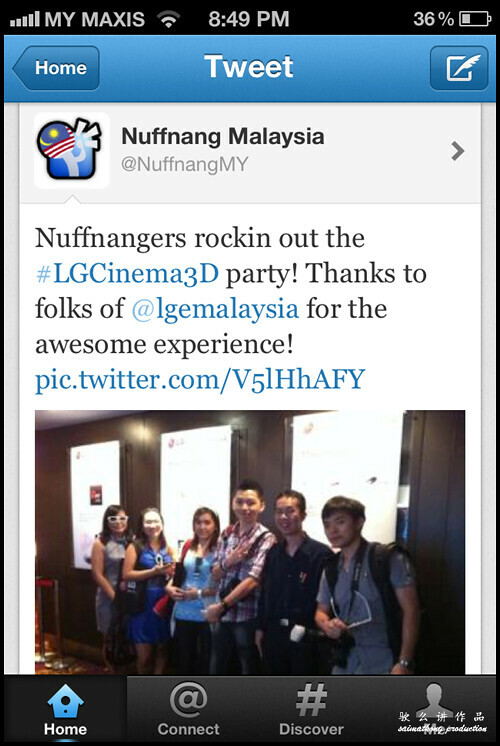 There were few zone for all the bloggers to visit and get to know more of the features of the LG CINEMA 3D Smart TV! 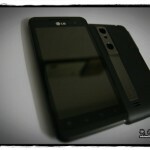 I personally Love this Model LG LM9600. It’s 55″ and the look is really elegant. It’s so thin and the border is almost none! Stunning Picture Quality of NANO FULL LED in a Beautifully Designed Frame. 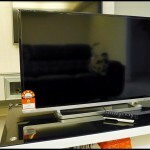 You want to know how much is this 55″ LM9600 model selling for? 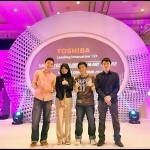 It’s only RM17,999! I don’t think I could afford it but, there’s all kind of range and there’s affordable range that within my budget as well that’s 42″ and the RRP is RM3,399. 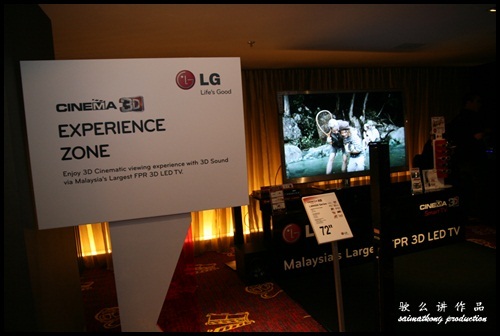 Hmm… wondering when could I own this features packed LG CINEMA 3D Smart TV! 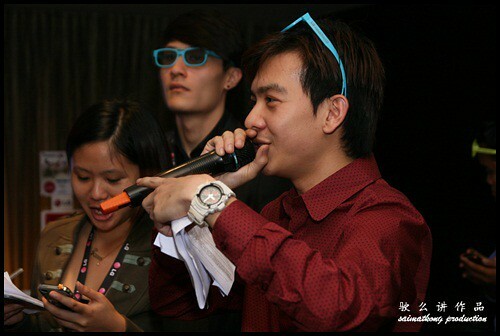 Emcee of the night! There’s games, twitter contest and dancing competition too!